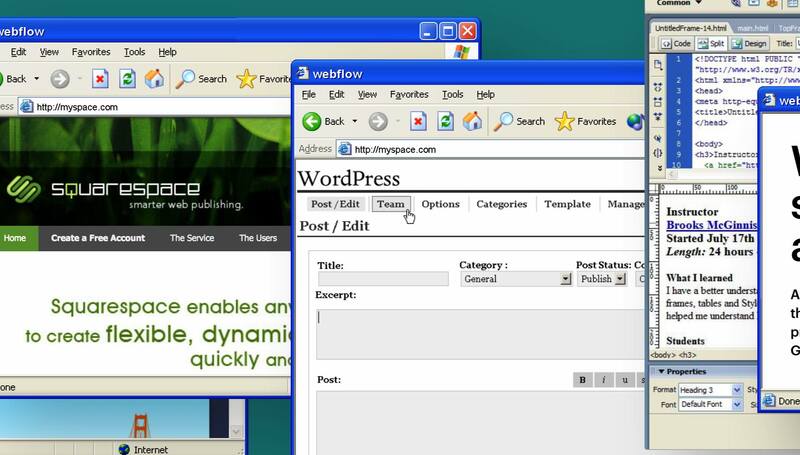 Webflow's history of the web is a Bayeaux Tapestry of obsolete virtues and current vices, a superimposition of new and old bad things. It's a clever and very 2017 way to market a web design app that lets normal people keep making worthwhile mistakes on the web -- a gateway to free expression -- as it becomes increasingly technical and forbidding. I'm startled by how comfortingly, reliably minimal the very early stuff was. Even the lurid GIF explosion in late 1990s! Simple technology made even a terrible mess accessible.